Heinz Recalls Hundreds Of Cases of Gravy Just Ahead Of Thanksgiving : The Two-Way Some 500 cases are being voluntarily recalled due to possible mislabeling of pork, milk and soy as part of its contents. 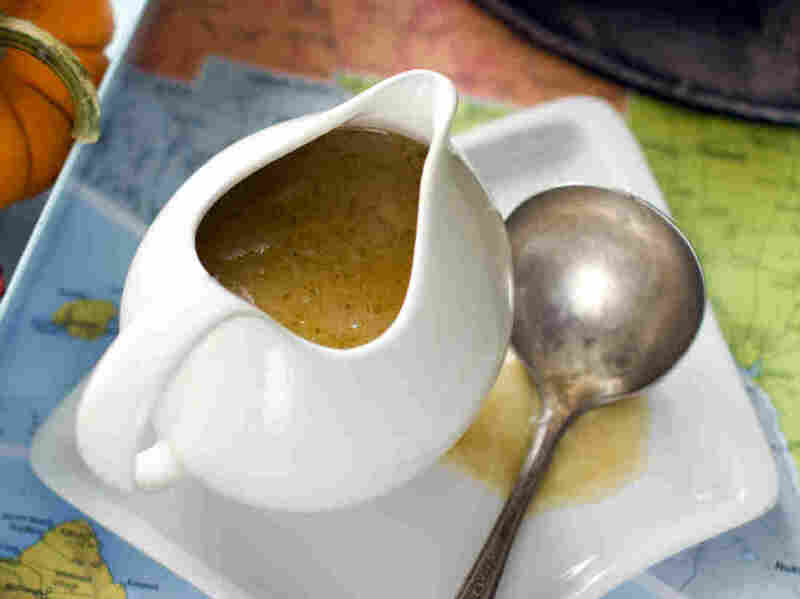 Food giant Heinz is voluntarily recalling hundreds of cases of its gravy due to its HomeStyle Bistro Au Jus gravy being mislabeled as Heinz Pork Gravy. Before you pass that gravy this Thanksgiving, you may want to make sure you got what you paid for. Food giant Heinz is voluntarily recalling hundreds of cases of gravy just ahead of turkey day due to jars being possibly mislabeled. The labeling mishap was for Heinz HomeStyle Bistro Au Jus Gravy. The jars in question were inadvertently labeled Heinz Pork Gravy and may contain milk and soy. The Food and Drug Administration issued an alert via Twitter citing "undeclared milk and soy" in the HomeStyle. There are concerns that the gravy could be dangerous for people with certain food allergies. According to CBS Detroit, about 500 cases of the gravy were affected by the recall and all were distributed just in the U.S. and that have a best buy date of Dec. 28, 2017. "There have been no consumer complaints or reports of illness related to this issue to date and no other sizes, varieties or code dates of Heinz Gravy other than lose listed below are included in the recall, according to the company."